LiquidWeb hails from Lansing, Michigan and is a web hosting company that’s been around since 1997. Liquid Web services more than 20,000 clients in 120+ countries around the world. They own all of their data centres, staffing them with highly skilled technicians 24/7, and use only Tier-1 bandwidth providers for fast service with very little latency. Liquid Web has been among INC. Magazine’s 5,000 Fastest Growing Companies every year since 2007. Liquid Web offers a number of shared hosting plans that can accommodate anything from a basic, simple site to an online e-commerce platform. Their shared hosting comes with expert support that will help even the most novice users get up and running in no time. They also provide on-site staff 24/7/365, network monitoring, exceptional reliability, and consistent uptime. All shared hosting plans include unlimited e-mail accounts, MySQL databases, and mailing lists. Liquid Web also provides you with a free SSL secure server, web statistics, SSH shell access, virtual domains and FTP accounts, full CGI, and programming languages such as Perl, PHP5, Python, and C++. With multiple security and redundancy layers, and nightly backups, you’ll have the peace of mind that comes with knowing your site will always be working reliably. All shared hosting plans include free domain names. Liquid Web’s Smart VPS service is the best option for customers who need the control of a dedicated server at the lower price of a shared environment. Smart VPS servers include unlimited domains and accounts, Heroic Support, a 100% uptime guarantee, and a 30-minute guaranteed response time for all support issues. Liquid Web also offers their Linux Smart cloud-enabled virtual private servers. Smart VPS plans include ready to go servers, cPanel/WHM control, full root access, a dedicated firewall, flexible billing options, full management options, and automated migrations. With Liquid Web Smart VPS even the most advanced networking requirements are made easy. And you’ll have a choice between the Debian, CentOS, and Ubuntu operating systems. Both Linux Smart VPS plans include 1 free IP address, while the Windows VPS Premium plan includes 4 free IP address. As of the net continues to evolve Web hosting has to evolve along with it. That’s where we introduce the advantages of Liquid Web’s Smart Servers. Smart Servers combine all the benefits of the cloud environment with the power and control of dedicated servers. Automatic migrations allow customers to move existing server environments to Liquid Web’s ready-to-go servers seamlessly, with just the click of a mouse. And like their VPS service, Smart Servers are available with three different Linux choices. Liquid Web also offers fully managed support, integrated backups, dedicated firewall, easy movement between Smart VPS and Smart dedicated servers, and flexible billing which allows the creation or deletion of new servers on a daily basis. The Smart Server Dashboard is a ground-up implementation giving customers all the tools they need to manage their servers with ease. The dashboard provides statistics and data, graphs, and direct access to your server’s console. With Liquid Web’s Smart Servers you’ll have all the control of the traditional server environment with the flexibility of a cloud. Liquid Web offers 12 Smart Server plans ranging in price from $189/month to $799/month, depending on your options. At the low end, their least expensive option offers 1 quad-core CPU, 2GB RAM, and a single 453GB SATA drive. On the high end you get 2 CPUs, 48GB RAM, and 6 disks. Dedicated servers from Liquid Web come in single, dual, or quad processor options with either the Linux or Windows operating system. Along with the Liquid Web reputation you’ll enjoy fully managed servers with Heroic Support, 100% network uptime, and the choice of two or six cores per CPU. All plans come with 24/7/365 phone and helpdesk support, network monitoring, and guaranteed 30-minute hardware replacement. And with 6000GB bandwidth, you’ll have plenty to work with regardless of what you’re running. Liquid Web’s ServerSecure service will have you up and running quickly with a default operating system and control panel installation that can be modified to meet you personal requirements. You simply tell Liquid Web what you need and you’ll be ready to go as soon as your server is delivered. 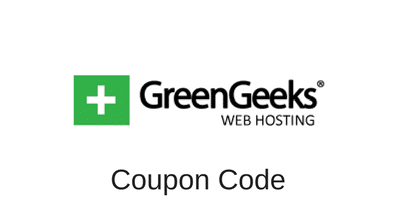 When a Liquid Web coupon code becomes available, WebHostingRatings.ca updates this page. You can sign up to our email list to receive all coupon offers as they become available or visit our Coupon Code Page for a complete list of coupons available for other hosts. Like most other web host providers Liquid Web claims outstanding customer service and technical support. In the case of LW, they are very good in both of these areas. Consumer reviews usually all concur to say that both the customer service and technical support are excellent. Some complaints included billing confusion, which can be the case perhaps if you’re running a lot of different servers and accounts with them. However, they have recently change their invoicing and billing procedures with a easy to use system. Reliability and knowledgeable support staff top the list of positive comments. Liquid Web’s Smart Servers help make them one of the top web hosting providers around. While they are leading the evolution of the industry, others are struggling to keep up. Overall, based on pricing, technology, and customer reviews, it is fair to give Liquid Web 4.5 out of 5 stars. LiquidWeb is one of the most respected web hosts online. Although its prices are not as cheap as other hosts, such as HostPapa, they offer more value and support for webmasters who need a robust hosting service. For more information about the features of the different servers offered by LiquidWeb, visit their website. This entry was posted in Web Hosting Reviews on July 9, 2011 by WHR.